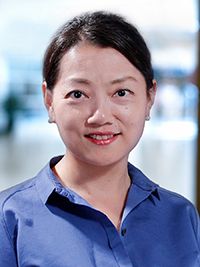 SHANGHAI, October 24, 2016 –Baird, an employee-owned, international financial services firm, today announced that it has appointed Lydia Xu as Managing Director and Head of China Investment Banking in Shanghai. In the role, Xu will be responsible for expanding both access to strategic and financial Chinese buyers for the firm’s sell side assignments, as well as advisory work from Chinese corporates and private equity firms looking to sell assets, make new investments or refinance debt. Xu joins Baird from BDA Partners where she was a Managing Director. A seasoned investment banker and finance professional with 15 years cross border M&A experience, Xu has advised on transactions across a range of industries, including manufacturing, chemical, auto and healthcare. Her clients have included Areva, AXA Private Equity, BASF, C.R. Bard, Donaldson, Hercules, Johnson Controls, Life Technologies, Magna, Millipore, Schneider and Siemens VDO. Xu has a M.B.A from China Europe International Business School in Shanghai and a B.S. in Mathematics from Peking University in Beijing. “We are very pleased that Lydia has decided to continue her successful career at Baird,” said Chris McMahon, Head of Global M&A at Baird. “With proven access to and coverage of key strategic buyers and private equity firms in China and the greater Asia Pacific region, Lydia’s background and expertise are a great fit for our franchise. Baird has made significant investments in its global M&A platform over the past several years, which now includes a 260-plus network of investment bankers covering the U.S., China, Japan and all of Europe, as well as strategic alliances with banks in India, Australia and Brazil. In 2015 the firm expanded its Industrial, Healthcare and Consumer sector coverage in the UK and enhanced its senior advisory team in the DACH region. This summer, Baird announced a strategic partnership with BR Partners, expanding access to Brazil, and appointed two senior bankers in the U.S., adding sub-sector coverage in Food and Beverage and Transportation and Logistics. With these platform investments, Baird’s deal flow has grown and become more global, particularly as Asian buyers are increasingly looking to Europe and the U.S. for acquisitions. As of the end of September 2016, China year-to-date (YTD) outbound M&A deal count and deal value were up 42% and 147% respectively compared to YTD 2015. In the past year, Baird advised on notable deals such as Mayborn Group’s sale to Shanghai Jahwa (Group) Ltd., Metabo AG’s sale to Hitachi Koki Co., Ltd. and OMRON Corporation’s acquisition of Adept Technology, Inc.
Baird is an employee-owned, international wealth management, capital markets, private equity and asset management firm with offices in the United States, Europe and Asia. Established in 1919, Baird has more than 3,300 associates serving the needs of individual, corporate, institutional and municipal clients. Baird has more than $160 billion in client assets. Committed to being a great place to work, Baird ranked No. 6 on FORTUNE’s 100 Best Companies to Work For in 2016 – its 13th consecutive year on the list. Baird’s principal operating subsidiaries are Robert W. Baird & Co. in the United States and Robert W. Baird Group Ltd. in Europe. Baird also has an operating subsidiary in Asia supporting Baird’s investment banking and private equity operations. Robert W. Baird Limited is authorised and regulated by the Financial Conduct Authority. For more information, please visit Baird’s Web site at rwbaird.com or bairdasia.com.